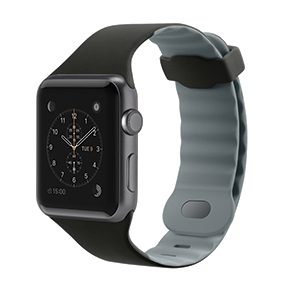 Belkin Sport Band for Apple Watch (38mm/40mm) is rated 3.0 out of 5 by 2. 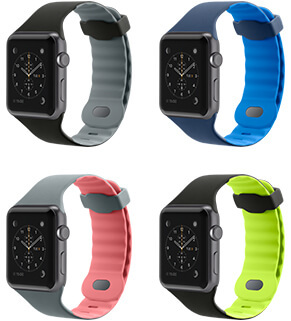 The Sport Band comes in a choice of four sporty colors and is available in Apple Watch 38mm/40mm or 42mm/44mm compatible sizes. 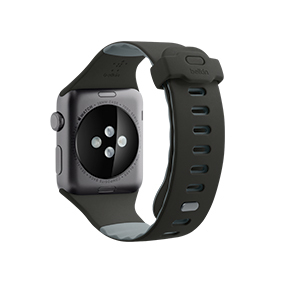 The dual-locking buckle also stays secure on your wrist to ensure full sensory engagement throughout your workout. Rated 1 out of 5 by Mglong6212 from Unreliable and unsecure After only having this band for about 2 months it routinely started coming undone. After having it literally fall off my wrist 3 times in one week I planned to purchase a new band. The day I planned to replace the band, I had been wearing the watch in the car to help with GPS direction and forgot to remove like I had started doing to avoid damage. Shortly after leaving the car, the watch came loose fell on the parking lot and broke the screen. The band has not gone through any strenuous use. I don’t wear it in the shower or any water, and never expose it extreme temperatures or anything that could compromise it. I’m upset that after only a short time of use I’m going to have to pay upwards of a hundred dollars because of it’s failure. Bottom line buy a different watch band that does not come undone easily unless you like your screen cracked.